On average we spend eight hours every day/night sleeping. In my opinion, when you spend one third of your lifetime somewhere, that place is better be top notch. Not everyone can afford some of the things I'm going to show you here (including me), but it's still inspirational. I have to admit I don't like sleeping in a "normal" hammock, because I fear of falling out of it asleep. But this hammock has a lot of room and looks like its tightly bound so you don't sink too deep into it. Kayla Kromer loves Hamburgers so much, she wanted to sleep in one. 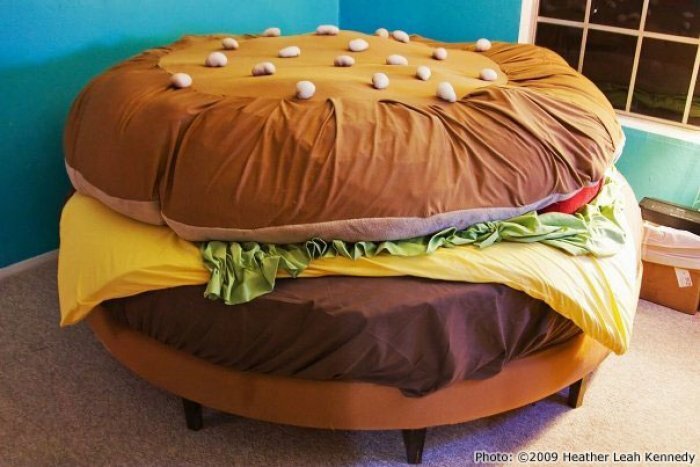 Everyone can imagine what a total mess that would be, so instead she went and designed her bed to look like a Burger. Since then, the Hamburgerbed, which has its own Fanpage on Facebook, was even featured on the Jay Leno show. It was sold twice on eBay and found its new home in the Hamburger Museum. You can read the whole history of the bed following the source link. When talking about "cool beds" (pun intended) this is one that we just can't miss out. 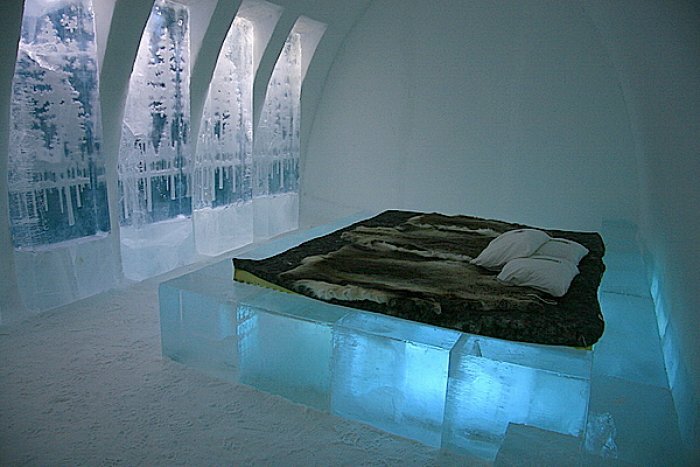 The Swedish Ice Hotel, has not only the walls, but the complete interior made from ice, including the beds. Definitely the coolest bed when it comes to temperature. This must be the most awesome Dad ever! Why? 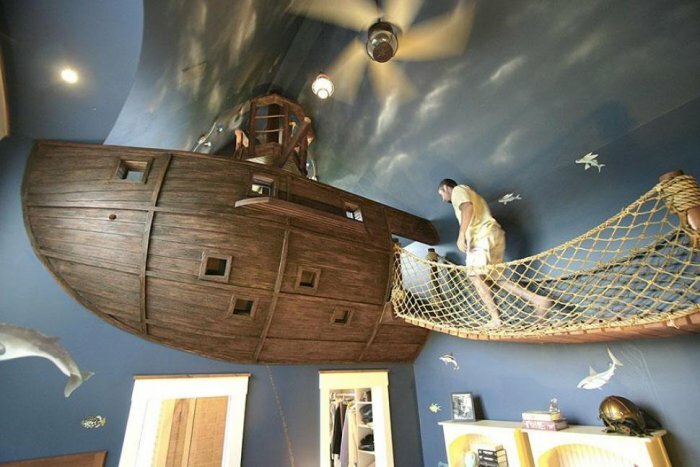 Because he built this bed for his son who happens to love Pirates and Pirateships more than anything (except his father). The coolest part? Because the ship is located so high, the rest of the room is designed to create an atmosphere of being underwater. Absolutely Amazing. 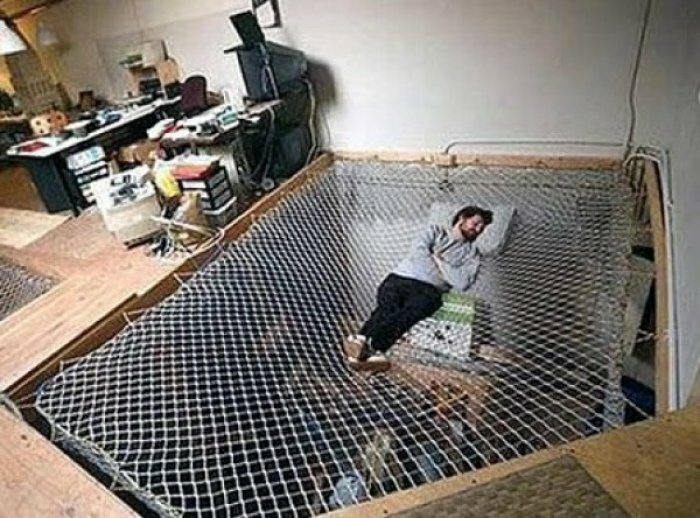 #5 - This must be the coolest location for a bed... EVER! 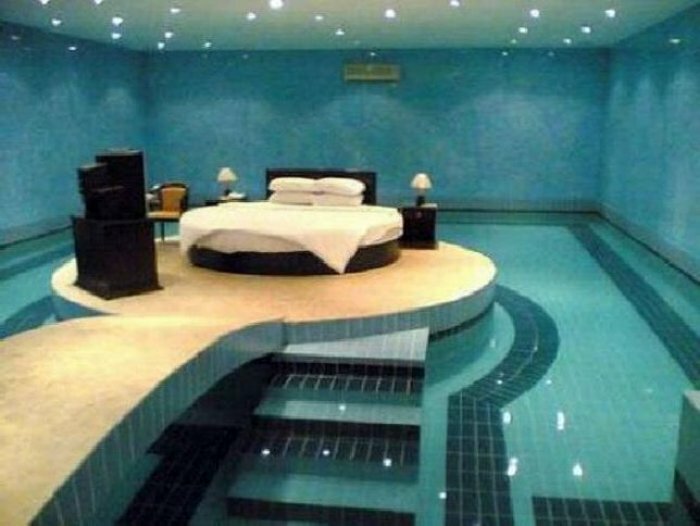 When you go to sleep, you will hear the water bubbling and when you wake up, BOOM, a refreshing dive into the pool. Awesome! 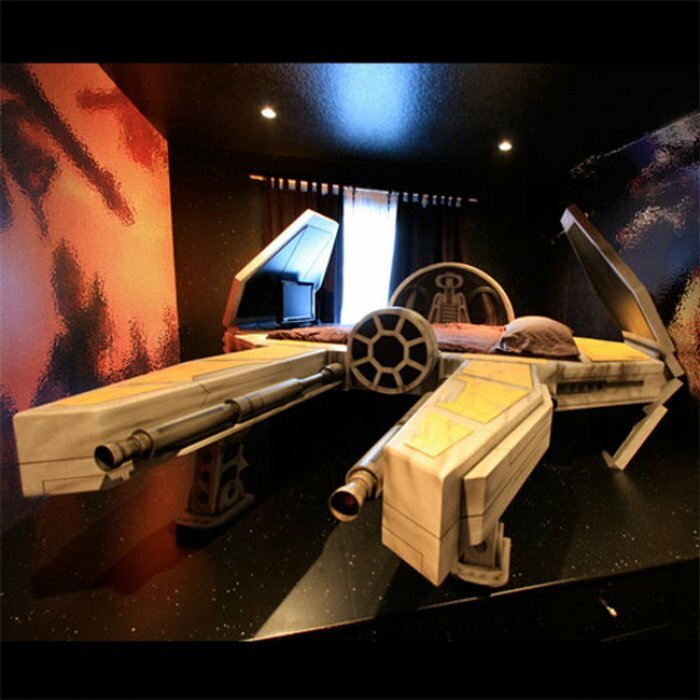 The dream of every Star Wars Geek became reality with this bed. But when you hear the price, your dream becomes a nightmare. This bed from a galaxy far, far away, sell's for around $15,000. 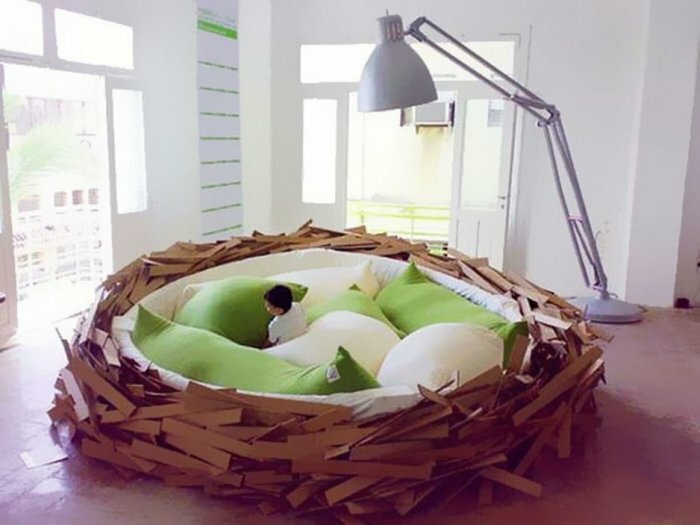 This is the bed I would like to have for my kids. Not just because they love Angry Birds, but also because it creates a feeling of protection. On day time its fun to play inside or take a nap and at night time you just remove some of the over sized pillows for more room. Did you know there is an underwater hotel in Fiji called the Poseidon? Most of the venues are underwater and so are the activities. Beside snorkeling and diving you can make a trip with a luxury underwater boat which has room for 16 people. 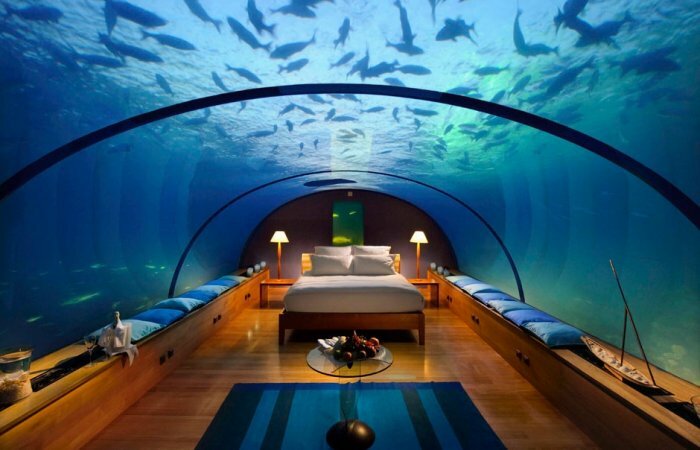 I can not imagine sleeping in a bed with a bunch of sharks swimming over you, but i would definitely love to try it.